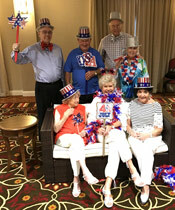 Want the best seats in Pikeville to see the fireworks this 4th of July? 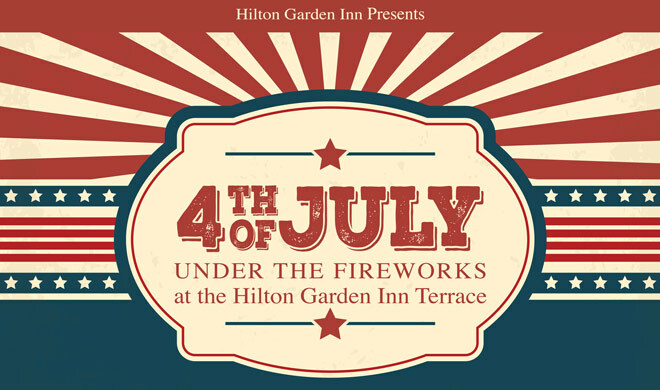 How about atop the Hilton Garden Inn terrace, complete with pulled pork BBQ, a silent auction table, and a full cash bar? 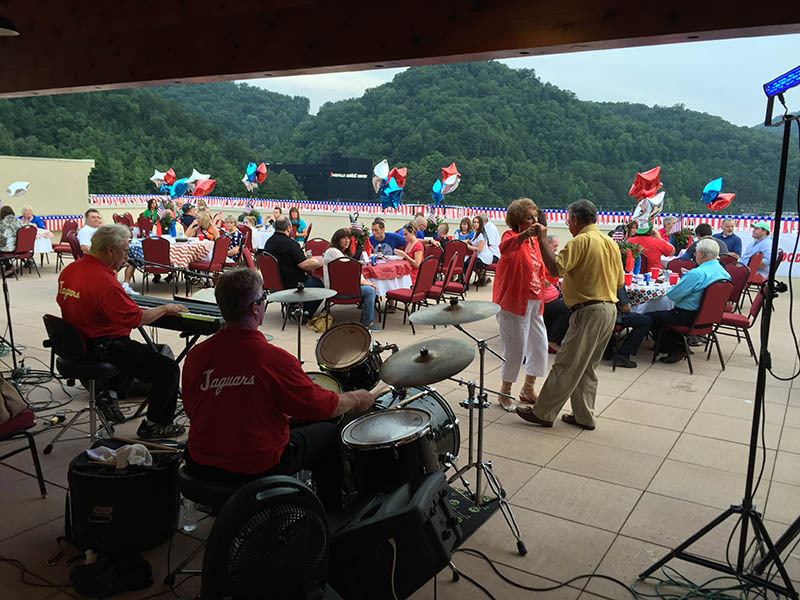 Join us for 4th of July Under the Fireworks 2019, featuring music by Jim Hunt & the Jaguars, Jason Goble and Troy Burchett, beginning at 7:00 p.m.
4th of July Under the Fireworks is a fundraiser event sponsored by Food City, Hilton Garden Inn of Pikeville and Pike County Tourism CVB, with other sponsors on the way. 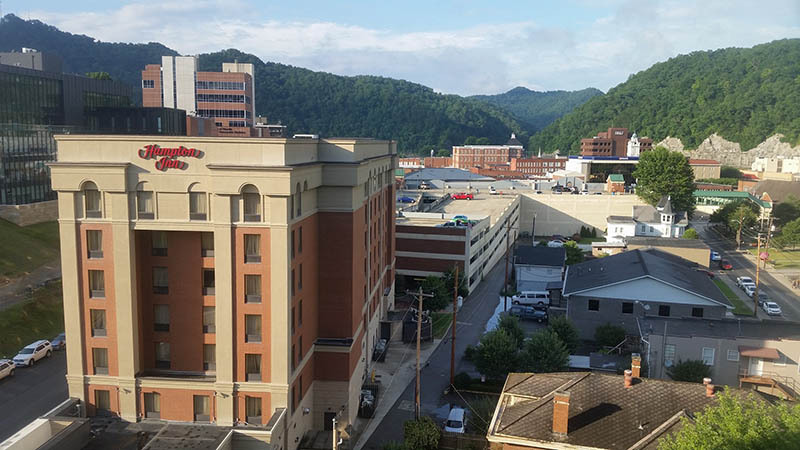 The goal of this event is to raise funds to help showcase Eastern Kentucky artist, singers, bands, theatres, arts and crafts at the Kentucky State Fair Pike County Booth on August the 15th –August the 25th, 2019. This booth educates the potential visitor on Eastern Kentucky’s tourism offerings, with materials about festivals, events, white water rafting, theatres and museums, history and outdoor adventure, hiking, biking and waterways. Each year, Pike County Tourism CVB, along with the Pike County Fiscal Court provides a stage at the Eastern Kentucky state fair booth for showcasing regional singers and performers. 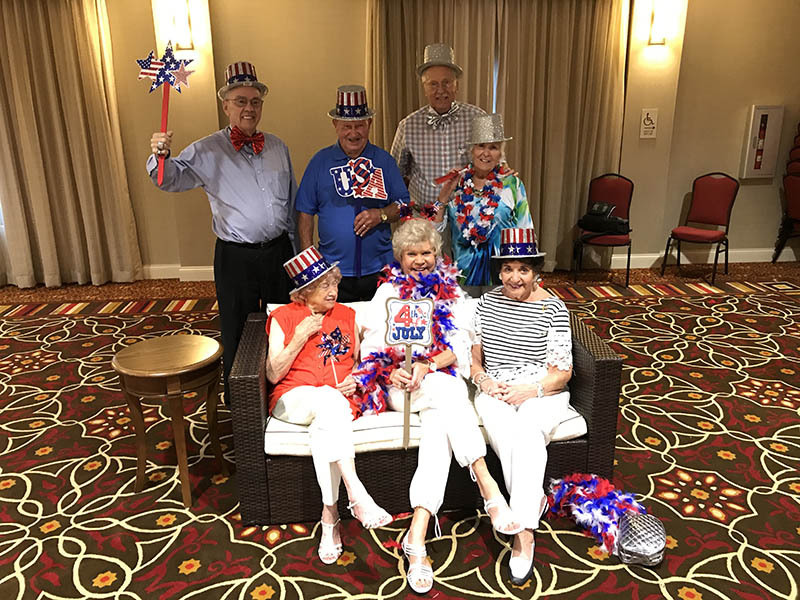 Other exhibits and demonstrations are also showcased, featuring Hatfield & McCoy artifacts, US 23 Country Music Highway Memorabilia, live arts and crafts demos, and a lounging area for hosting conversations. The proceeds of this fundraiser will go toward the Kentucky State Fair booth setup and rental, as well as the lodging, food and gas allowance for Eastern Kentucky artist to be showcased. This event attracts over 600,000 people a year, and is a great way to display what beautiful Eastern Kentucky offers. Fireworks begin at dark-thirty. In case of rain, the event will be moved into the Hilton Garden Inn F. A. Bailey Room. For the best view of the fireworks, secure your tickets below. 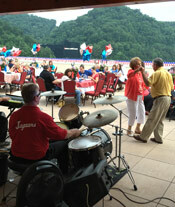 Enjoy the 4th of July celebration atop one of Pikeville’s most beautiful hotels, the Hilton Garden Inn. All sales final, tickets non-refundable. Proceeds will go towards funding the travel, lodging and meal accommodations for artists from Pike County, Kentucky and the surrounding area to be featured at the Kentucky State Fair, 2019. Tickets are picked up at the Pike County Tourism CVB office, 831 Hambley Blvd. Pikeville, KY.
VIP tables are also available for sponsors, which will cost $350.00, and will include a banner on the balcony with business logo and information, a fully decorated table for eight in the VIP section, and special mention throughout the night during this event. To secure a table and sponsorship for your company: Contact us for details.